On the weekend I went urban exploring at the Cameron Offices in Belconnen. I took this photo from the Belco Labor Club. To the right of the photo is a walkway between two wings of the Cameron offices. The buildings on the left are abandoned and mostly stripped with just the shell remaining. To the right, and not in this photo, are the buildings which will be torn down. This is occurring now. The report which nominated the buildings for heritage status can be found there. 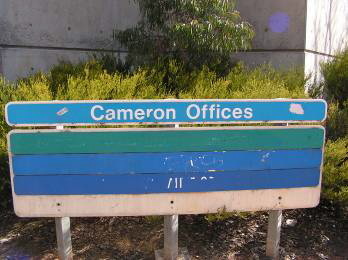 Cameron Offices was the first building constructed in the new town centre of Belconnen, and Australia’s largest office complex development at that time. It was conceived as an element of an urban street design with pedestrian movement through interconnected wings and walkways as the primary theme. John Andrews, an Australian architect with an international reputation was chosen by the National Capital Development Commission (NCDC) to design the offices. The accepted solution provided by John Andrews was 9 wings of 4 storeys, stepped with the contours of the site. The complex was proposed to link across roadways via pedestrian walkways, adjacent residential and retail complexes. Prior to the completion of the Cameron Offices, the shopping mall which was to have been erected immediately to the north, was relocated to a site further to the west. 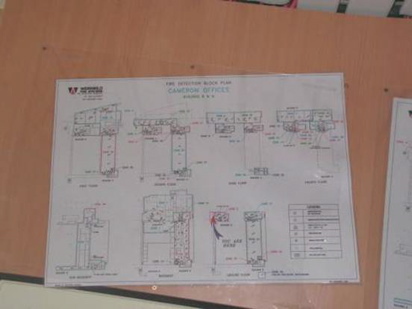 This affected the fundamental design premise of pedestrian links on which the offices had been designed. The problem was partly remedied by constructing a bus station at the northern end of the offices. The thematic landscaping in the courtyards was also changed, although some plantings and the water features have been retained. The Cameron Office complex was officially opened on 24 September 1976. 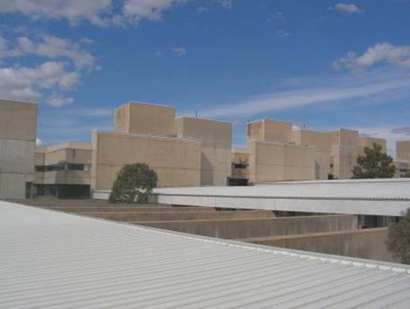 The complex was one of the earliest Late Twentieth Century International Style and Brutalist Style buildings in Canberra, and its low-rise rectangular form with intervening courtyards established a new design philosophy which was adopted by Canberra’s planners. Elements specific to the Late Twentieth Century International Style include cubiform rectangular forms, structural frame expressed, large sheets of glass, and Corbusian ribbon windows. 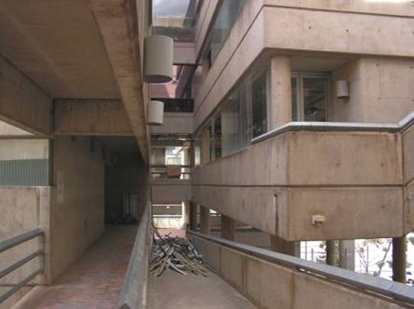 The late Twentieth Century Brutalist Style featured strong masses boldly composed and large areas of off form concrete. In Andrews’ design, the street became an elevated open sided mall connecting the office units and providing a pedestrian link between the planned housing and the commercial infrastructure. The executive suites and functions were placed over the mall, and low rise, walk up general office spaces branched off from this spine, creating courtyards between the wings. The spine stepped down towards the north and the office wings stepped down to the west. 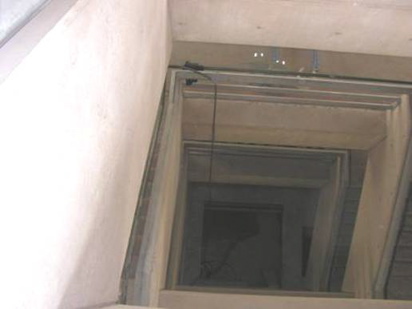 In order to accommodate a stepped form which broke up the bulk of the development, and to create a column-free interior for the wings, the gallows style beam structural system was developed. 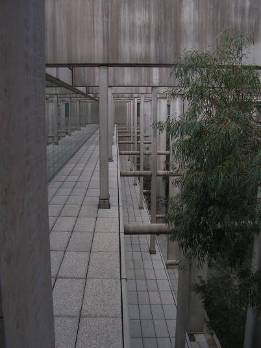 These large pretensioned beams spanned over the courtyards, creating a pergola effect over the planting and at the same time connected to the post tensioned columns which supported the floor slabs of the wings. The floor slabs stepped back on the north elevation as the building approached ground level, creating natural overhand shading to the glazed walls. The uniquely integrated design solution by four Australian firms collaborating on the planning and design: Miller Milston and Ferris, DS Thomas and Partners, McCredie, Richmond and Johns, and PJ Courtney Architects. The complex structural system was designed by Peter Miller, providing, sun shading and creating column free internal spaces. 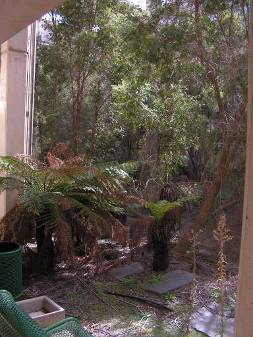 The landscape setting for Cameron Offices was based on an Australian bush garden style, based on the use of native plants and bush themes in a naturalistic and informal way. It was designed by Steve Moorehead, one of North America’s foremost landscape practitioners. The original indigenous plantings recreated the landscape themes of the Monaro Plains and Australian continent in each of the six courtyards, ranging from the high plains to dry desert themes. The landscaping created a close integration between building and landscape, and was designed as a device for orientation, circulation and relaxation. The courtyard landscaping between each wing was continued as tree plantings extending through the car parks. The design solution for the Cameron Offices complex was facilitated by NCDC’s planning policies, and was an unusual feature in Australia’s urban environment where subdivision has tended to constrain design of office buildings. 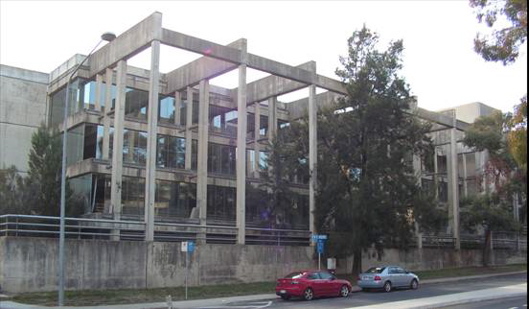 The Australian Bureau of Statistics (ABS) occupied the Cameron Offices since its completion in 1976. 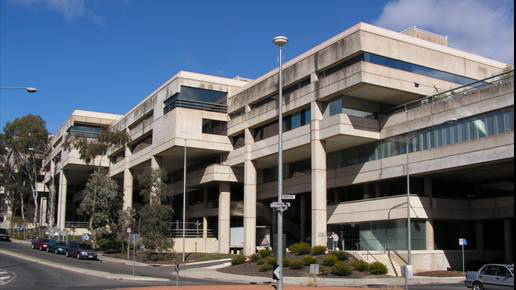 In 1997 the Commonwealth Government announced the elimination of 70,000 sq metres of office space in order to stabilise and rejuvenate the ACT’s commercial property market while removing surplus offices accommodation resulting in Commonwealth Public Service cuts. Cameron Offices was proposed for demolition. In 1998, the Department of Finance and Administration (DOFA) Domestic Property and Operation Group commissioned Conybeare Morrison & Partners to undertake a conservation analysis of the building. Wagdy Hanna and Associates Pty Ltd Architects and Property Consultants were commissioned to investigate the partial demolition options. 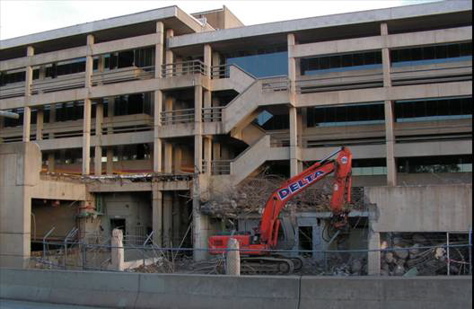 In 1998 DOFA issued a Call for Detailed Proposals to sell the property at market value, reduce vacant commercial office space and consider other objectives. Conybeare Morrison & Partners prepared a Conservation Analysis of the complex in 1998. The complex was entered in the Register of the National Estate in 1999. In 2000 the building was sold to Bovis Lend Lease. 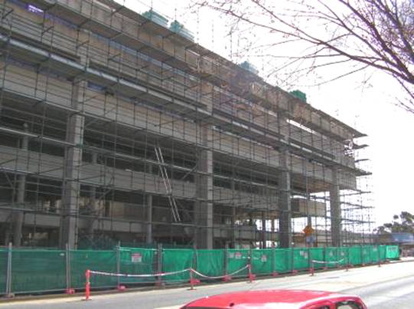 Work on the demolition of Cameron Offices was due to commence in May 2002 with new buildings to be completed in 2005. In July 2001, the architect John Andrews and Cameron Nominees (the owners of the buildings) decided to investigate changes in the redevelopment strategy to permit retention of most of the significant elements including all buildings other than Buildings 1 and 2, and the portion of the mall extending from Building 3 to the Bus Interchange. 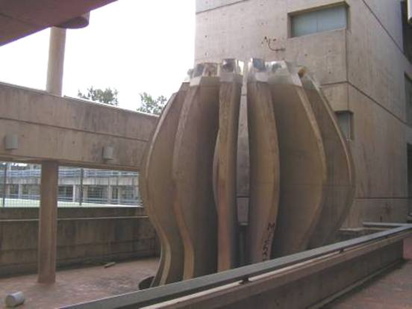 This resulted in retention of most of the original building and the retention of the Optical Galaxy sculpture in its original location. Three major areas of change were recommended; the demolition of Building s 1 and 2, the partitioning of the open plan wings for apartments or small scale commercial premises, and changes to the courtyards to provide the main address to each apartment. It is an attractive building from some angles. From the bus exchange I will be able to watch this wing be torn down in increments. One of the gardens was ripped out last week. Aidan Bruford must have visited. There are several bits of machinery on tracks up on the roof chipping away at the cement. If you walk along the road, you can see that the rest of the complex has been fenced off. Careful investigation reveals several entry points. Workmen were here, so I moved along the road. 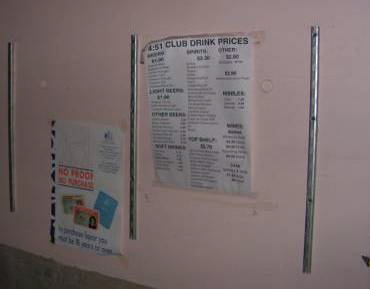 In the other wings there were no workmen present and the same soft perimeter fencing was used. They must want you to go exploring. 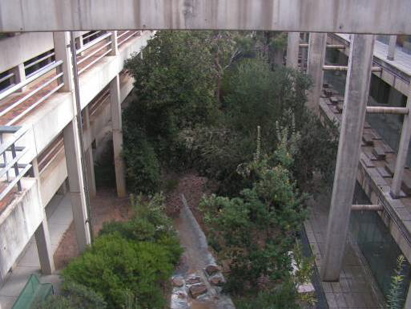 One of the design features of the complex was â€˜gardensâ€™ between buildings. This is quite nice. I had a smoke here while I caught my breath after jumping the fence. Wandering around through doors left open or forced open by previous explorers and you come across offices that look like they were emptied yesterday. In some of these areas idiots have smashed windows. I think some are being refurbed. 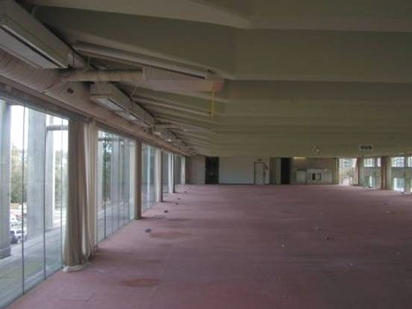 This is a huge open area with no columns – clever architects indeed. You do have to be careful. I opened a door to one of these large open areas and the smell was overpowering – of mildew. The carpet was covered in mould. I left fast as I was not wearing a mask. No photo either. Nice photo of the garden between two buildings. I walked along one of these ledges after gaining access via a broken window but felt I was pushing my safety luck and after taking this photo went back into an office area. Now I realise if I fell, it would only have been 15 feet or so. 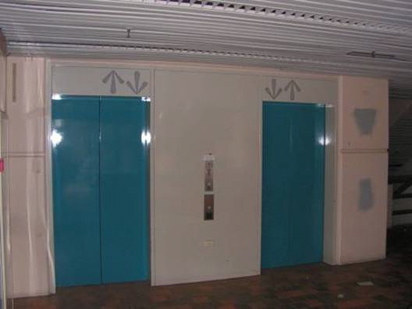 Interestingly, the power is on in these buildings (exit signs etc) but the elevators do not work. A shot of the Benjamin Offices through a broken window in the Cameron Offices. It is easy to get lost, but in one office I found this useful map. 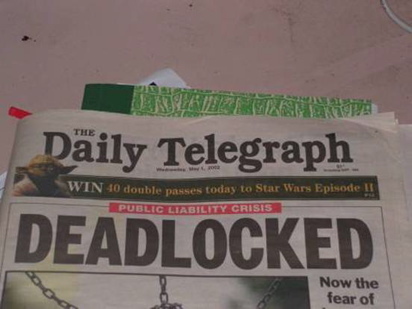 In some places it is like people just walked out – on May 1 2002. $1.90 for a beer! Wish Iâ€™d been a member. The only graffiti I saw inside the buildings. Some demo work has commenced on this side of the complex. Downstairs are builders skips. You can walk on the roof. It took awhile to get up here, but its doable. Itâ€™s a long way down this stairwell. Another one of the gardens. Plenty of birdlife in here. Parrots a plenty. You have to be careful wandering around abandoned buildings. There is lots of smashed glass and sharp metal etc everywhere. I didnâ€™t go to some areas as my torch batteries were flat. 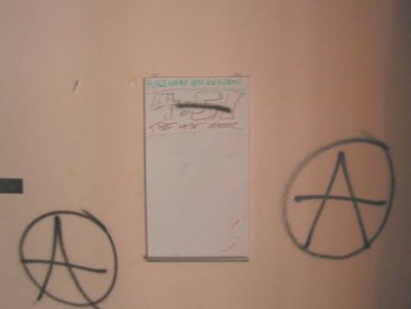 Most doors are open or have been forced open by vandals. the national gallery is another fine example of starting a momentous build, which anything of that scale is, and then changing other elements afterwards. the actual entrance to the ng now faces onto trees and shrubs. the entrance which has been used for 20 odd years is essentially the arse end of the building. the architect has fumed about this for years. i recall a model of the ng as originally designed was on display there, it may still be. for some reason the ng persist in the idea that people will want to walk to it from the high court. they never have, and never will. most people will walk in from the carpark – up the dinky ugly staircase. the current entrance is a disgrace. i do like the suspended ball though. 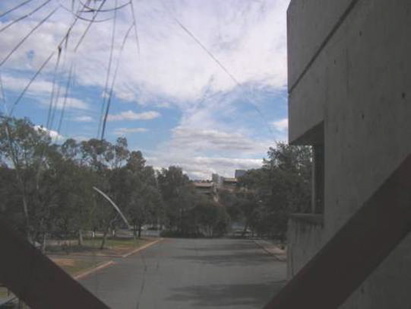 Just on another tangent, does anyone know who build the space station looking building across from Woden Plaza? 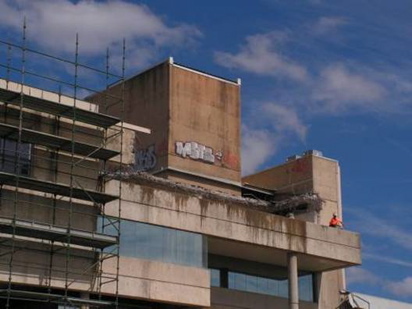 Apparently it used to be a TAFE, and IIRC it now houses InTACT. Indeed, and we only have 200 years of western culture/ history in this country. Not 1000s like Europe. Thus we need to ensure that what we have is available to future generations so they can understand their own history, culture, etc. Of course, i’m not advocating that we keep everything, just those that are significant in their own way. For instance, Mugga Mugga. Imagine if someone had bought the Station, knocked down the old cottage and replaced it with a Canberra Red brick house? Or Blundells Cottage on the side of the lake. A quaint circa 1860 cottage with direct roots back to Canberra’s rural past through it’s links to the old Duntroon Station, and the current Duntroon house. Indeed, it even has links to Canberry as one of the people that lived there later moved out to Canberry and started his own farm. Indeed, it is also reputed to be haunted by the ghost of a girl who died when her dress caught on fire. So my short answer is yes we should keep some of these monstrocities (sp?) for the sake of history buffs in the future!! Usually buildings (and art) don’t seem attrctive until they are a few generations old. Although these have had 3-4 decades to grow on us. – It looks as though they are going to demolish that sculpture along with the building. Pity that. I am aware of his “famous house” and while that has merit, I still don’t believe that we should keep the cameron offices for the sake of historical preservation. Its all subjective anyway – what looks good/bad/has significance, etc. I just think if you are going to preserve buildings for their architectural significance, you may as well do it on buildings that actually look 1/2 decent and not just any old thing – which seems to be the case from my uninformed view of the heritage listing process. They are representative of the form of architecture prevalent in Australian cities during the mid 70s. If we simply knock everything down we wouldn’t have any culture, history, etc. Just imagine if they’d torn down the old sandstone buildings in Sydney, or demolished the QLD natural History museum building. As for Seidler, well, I’m not a great fan of his. I used to work in EBB. Then again, it is still significant so it’s not simply a choice of whether or not I like it, or whether or not anyone likes it. It is still significant in its own way. snahon, i know you wont change your mind but soem of this type of architecture is truly beautiful. 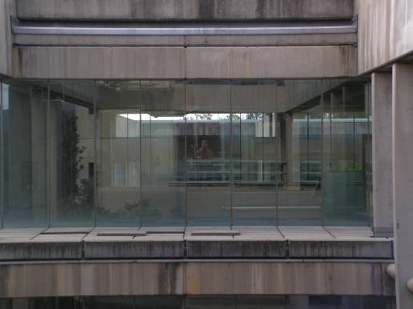 Having lived in a seidler designed building, i dont think he always hit the mark, but he did in his own home. I agree some concret construction is crap. the slab tilt construction method has seen many ugly buildings erected, but like all works of art, some are good, some arent. cameron offices are quite striking. Sydney and Adelaide have some excellent late 19th, early 20th century architecture. 20th century heritage – blech… I fail to see the significance and/or beauty of concrete slabs stuck together to form ugly buildings. They are ugly ugly ugly and no amount wishy washy garbage spewing from the architects about their ideas and themes of what it represents still doesn’t detract from the truth – ugly. Go to Melbourne CBD and you’ll actually see nice attractive architecture that is worth preserving. i understand what youre saying vg and i appreciate and respect danger. i have been wandering around derelict buildings for several decades and never found myself in trouble. lost occasionally, but never hurt myself. im probably one of the most careful people you have ever met. i try to estimate risk and plan accordingly. Thumper, if we’re talking millions of years – I’d suggest you used potassium-argon dating. Carbon dating is only accurate to 40K years. Therefore I can no longer be carbon dated…. Thermoluminescence would probably work though…. Social significance, cultural significance, asthetic significance and historic significance. Apply these to Cameron Offices and see what you get? Having had to waste my time at work on many more than one occasion dragging people off dangerous derelict buildings and building sites whilst I appreciate the aesthetics of the presentation I can’t understand the risk taken. I remember it having parachute stuff on the ceiling but I don’t remember the name either – it probably had a few incarnations. But (tragically) I DO remember Carousello, Honeys (both in Woden) and (less tragically) Bogarts. In fact I did a couple of gigs at Bogarts in a string quartet before they decided it was cheaper to pay one guitarist. I rememember the Monaro Mall – although I doubt it had anything redeeming about it that warranted preservation – still it takes me back to a possibly more gentler time … although now I think of it, what was the name of that bar that was down in the basement somewhere near where Cafe Dial-a-pizza and Happy’s is. It used to be open in the very wee hours. 20th C heritage? Eek! But if that’s so, why didn’t they save the ‘tasteful’ Monaro Mall?! I used to love an iced coffee at Mitchell’s way back then . . .
JTK – the age of a place is but one of the possible criteria for heritage listing – there’s no specific age limit or threshold. In fact one of the things heritage agencies are concentrating on is whats called – 20th Century Heritage. I hope this heritage business doesn’t extend to the soon-to-be-demolished PM&C building in Barton (the grey cement monstrosity with the red awnings). Impressed with the photos and your intrepidity, Bonfire!